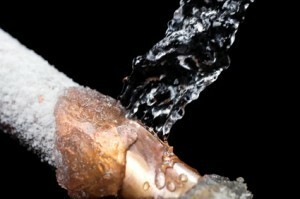 What Qualifies as a Plumbing Emergency? There are a great many different problems that can afflict a plumbing system. Some issues can be ignored for months without getting much worse (even though they really shouldn’t be). Some should be addressed fairly soon, though they can be left alone while waiting for an appointment time. Finally, some should be addressed as soon as humanly possible if they are to be prevented from causing massive problems. It’s this final category that we’re going to be discussing in this post. Plumbing emergencies absolutely cannot be ignored if they are to be fixed in time to prevent much of the damage they can cause. It’s important that you know when to call for emergency plumbing services, and when to wait for a more traditional plumbing appointment. Posted in Plumbing | Comments Off on What Qualifies as a Plumbing Emergency? Plumbing pipes are remarkably sturdy, but they’re not invincible. If you live in your home long enough, you will almost certainly have to replace one or more pipes at some point. If you know a bit about the issues that can affect pipe health, though, you can take certain steps to help prolong their lifespans. 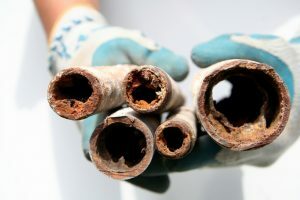 Let’s have a look at some common problems that, if left alone long enough, can lead to having to replace a home’s plumbing pipes.